Sony launched the all-new Sony Xperia X, XA & X Performance at the MWC 2016 event and are still unavailable in most of the major markets. The brand has been in the rumors for a while now about the launch of Xperia M Ultra, but it has recently confirmed to discontinue its M series. Today, the company has announced a smartphone with advanced selfie technology called as Sony Xperia XA Ultra. 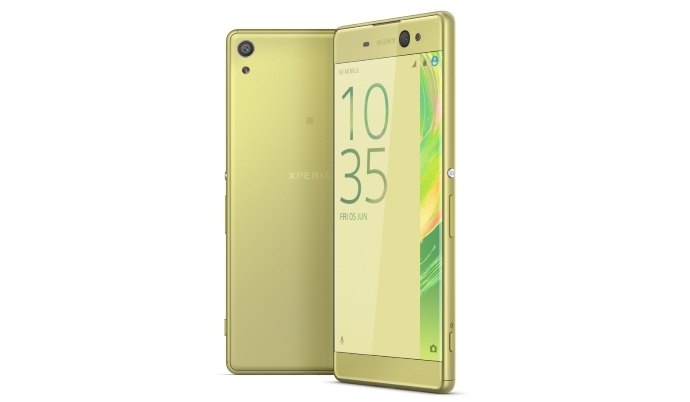 The phablet-sized smartphone comes with almost similar specifications like the Xperia XA other than the large screen and improved camera. Talking about the specifications, the Xperia XA Ultra flaunts a massive 6-inch (1080×1920 pixels) full-HD IPS scratch-resistant display that offers a pixel density of 367ppi. Under the hood, the device comes powered by 64-bit MediaTek MT6755 Helio P10 octa-core processor clocked at 2.0GHz paired with Mali-T860 GPU and 3GB of RAM. It has 16GB of built-in storage and also includes a microSD card slot for further expansion of memory upto 200GB. It supports dual sim dual standby and runs on Android 6.0 Marshmallow based company’s customized UI out of the box. On the camera cordon, the smartphone comes equipped with a 21.5MP rear camera with Exmor RS sensor, Hybrid autofocus and LED flash. The main selling point of the XA Ultra is its front-facing camera; it comes with a 16MP autofocus selfie snapper with OIS, 88-degree wide angle lens and LED flash. It is the second smartphone after the HTC 10 to offer OIS (Optical Image Stabilization) to its front camera. The 4G-LTE enabled smartphone comes with other standard connectivity options like 2G/3G HSPA+, Wi-Fi, Bluetooth 4.1, NFC, GPS/A-GPS and microUSB 2.0 port. The handset powers a 2700mAh battery that Sony claims can last for a couple of days on a single charge. The device also supports fast charging technology and just 10 minutes of charge can offer upto 5.5 hours of use. It measures 165.1 x 78.7 x 7.6 mm weighs around 189.9 grams and will come in White, Black and Lime Gold color options. The pricing and availability details of the Sony Xperia XA Ultra are yet to be revealed by the company. Stay tuned for more updates as the smartphone is set to roll-out starting July.